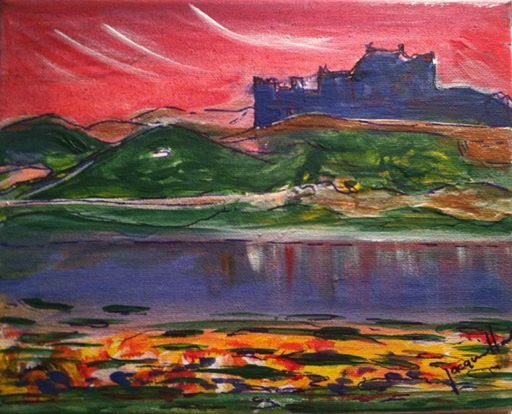 Day 10 – 30 paintings in 30 days : Taek me back to Scotland ! Scotland is on my mind tonight as the vote for independence approaches. I was born in Edinburgh and I am so proud of my heritage. One of my favorite castles is Eileen Donan Castle on route to the Isle of Skye – it’s so beautiful. The movie Highlander was filmed here.